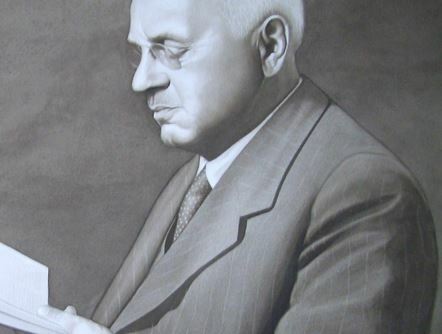 Alfred Adler was a physician, psychotherapist, and the founder of Adlerian psychology, sometimes called individual psychology. He is considered the first community psychologist, because his work pioneered attention to community life, prevention, and population health. Adlerian psychology emphasizes the human need and ability to create positive social change and impact. Adler’s goal was to create a psychological movement that argued for the holistic view of an individual as well as social equality. In this way, Adler’s theory of personality and humanity significantly differed from Freud’s—as well as significantly differing from much of today’s mainstream psychology. Adler believed that the social and community realm is equally as important to psychology as the internal realm of the individual. Alfred Adler’s key publications were The Practice and Theory of Individual Psychology (1927), Understanding Human Nature (1927), & What Life Could Mean to You (1931). Other important publications are The Pattern of Life (1930), The Science of Living (1930), The Neurotic Constitution (1917), The Problems of Neurosis (1930). In his lifetime, Adler published more than 300 books and articles. There is a law that man should love his neighbor as himself. In a few hundred years it should be as natural to mankind as breathing or the upright gait, but if he does not learn it, he must perish. More important than innate disposition, objective experience, and environment is the subjective evaluation of these. Furthermore, this evaluation stands in a certain, often strange, relation to reality. We must interpret a bad temper as the sign of an inferiority complex. Man knows much more than he understands. It is easier to fight for one’s principles than to live up to them. Meanings are not determined by situations, but we determine ourselves by the meanings we give to situations. A lie would have no sense unless the truth were felt as dangerous. He used to say to his melancholia patients: You can be cured in fourteen days if you follow this prescription.Try to think every day how you can please someone. This quote begins here. A simple rule in dealing with those who are hard to get along with is to remember that this person is striving to assert his superiority; and you must deal with him from that point of view. This quote ends here. The only normal people are the one’s you don’t know very well. No experience is a cause of success or failure. We do not suffer from the shock of our experiences so-called trauma – but we make out of them just what suits our purposes. If the truth is there, bad writing won’t hurt it ! There are thousands of degrees and variations, but it is always clearly the attitude of a person who finds his superiority in solving the complications of others. God who is eternally complete, who directs the stars, who is the master of fates, who elevates man from his lowliness to Himself, who speaks from the cosmos to every single human soul, is the most brilliant manifestation of the goal of perfection. Death is really a great blessing for humanity, without it there could be no real progress. People who lived for ever would not only hamper and discourage the young, but they would themselves lack sufficient stimulus to be creative. To be human means to feel inferior. Men of genius are admired, men of wealth are envied, men of power are feared; but only men of character are trusted. There is no such thing as talent. There is pressure. To all those who walk the path of human cooperation, war must appear loathsome and inhuman. We are not determined by our experiences, but are self-determined by the meaning we give to them; and when we take particular experiences as the basis for our future life, we are almost certain to be misguided to some degree. Meanings are not determined by situations. We determine ourselves by the meanings we ascribe to situations. Overcoming difficulties leads to courage, self-respect, and knowing yourself. What do you first do when you learn to swim? You make mistakes, do you not? And what happens? You make other mistakes, and when you have made all the mistakes you possibly can without drowning – and some of them many times over – what do you find? That you can swim? Well – life is just the same as learning to swim! Do not be afraid of making mistakes, for there is no other way of learning how to live! You can be healed of depression if every day you begin the first thing in the morning to consider how you will bring a real joy to someone else. but by our interpretation of the facts. An educator’s most important task, one might say his holy duty, is to see to it that no child is discouraged at school, and that a child who enters school already discouraged regains his self-confidence through his school and his teacher. This goes hand in hand with the vocation of the educator, for education is possible only with children who look hopefully and joyfully upon the future. It is the individual who is not interested in his fellow men who has the greatest difficulties in life and provides the greatest injury to others. It is fro+m among such individuals that all human failures spring. The only normal people are the ones you don’t know very well. To see with the eyes of another, to hear with the ears of another, to feel with the heart of another. For the time being, this seems to me an admissible definition of what we call social feeling. Courage is not an ability one either possess or lacks. Courage is the willingness to engage in a risk-taking behavior regardless of whether the consequences are unknown or possibly adverse. We are capable of courageous behavior provided we are willing to engage in it. Given that life offers few guarantees, all living requires risk-taking. Life is just the same as learning to swim. Do not be afraid of making mistakes, for there is no other way of learning how to live! A simple rule in dealing with those who are hard to get along with is to remember that this person is striving to assert his superiority; and you must deal with him from that point of view. Every pampered child becomes a hated child…. There is no greater evil than the pampering of children. What is courage? Courage is the willingness to risk failure…There is only one danger I find in life, and that, indeed, is a real one. You may take too many precautions. The striving for significance, this sense of yearning, always points out to us that all psychological phenomena contain a movement that starts from a feeling of inferiority and reach upward. The theory of Individual Psychology of psychological compensation states that the stronger the feeling of inferiority, the higher the goal for personal power. The human mind shows an urge to capture into fixed forms through unreal assumptions, that is, fictions, that which is chaotic, always in flux, and incomprehensible. Serving this urge, the child quite generally uses a scheme in order to act and to find his way. We proceed much the same when we divide the earth by meridians and parallels, for only thus do we obtain fixed points which we can bring into a relationship with one another. It is well known that those who do not trust themselves never trust others.